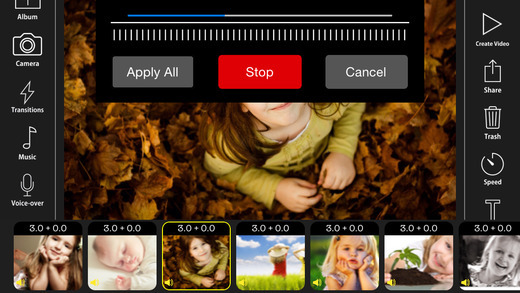 With FunSlides you can create fantastic REALTIME, HD video slideshows from your favorite photos. You can import photos from your iPhone’s camera roll or take new photos with your iPhone camera. After adding photos to your project you can add text to each one of them. Once your photos are arranged in order and your text has been added, insert the transitions you would like between photos. Finally, before publishing your project add a sound track from FunSlides built-in music library, iPod music library or record a custom narration, with voice over feature. When everything looks in order, share your video via email, Facebook, or YouTube. 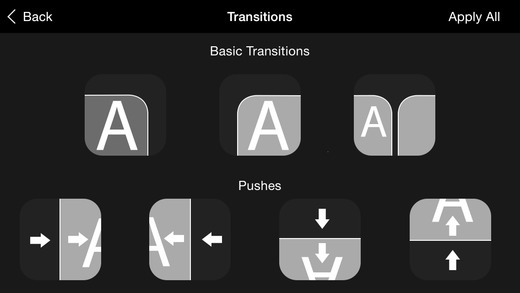 The app includes 13 built-in music themes, multiple text options with various fonts, colors,sizes and seven transitions to choose from. 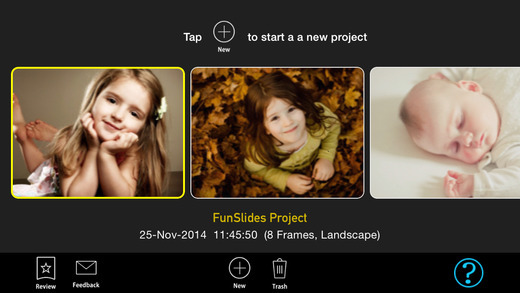 FunSlides help you to organise and save your precious memories in form of video. You can instantly share your creative videos with family and friends. It is also a perfect app for classroom and business needs. You can quickly create video presentations along with customised text and background narration. FunSlides is a compelling tool that capitalises on the creative talents of the students. •By default each photo will be displayed for 3 seconds.